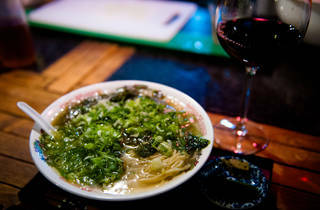 A one-woman show run by former pin-up model Takako Hayakawa, this ramen bar has built up an army of regulars on the strength of both its extra-special salt-based soup and the owner's voluptuous appearance. Although the latter can be enjoyed at all times, the ramen is served only when Hayakawa feels like it, making this one something of a challenge for noodle hunters. 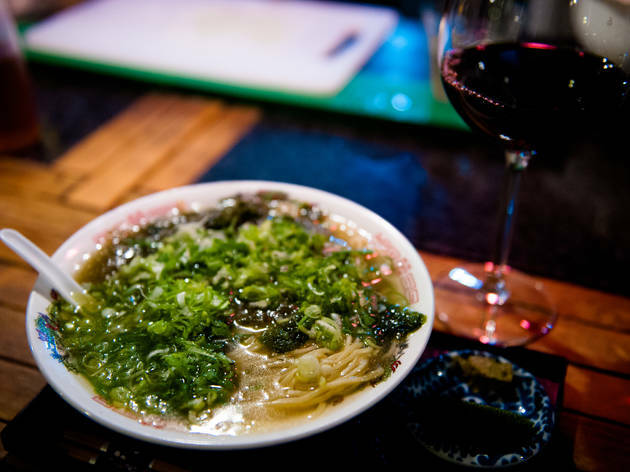 When it is available, though, the shio-shoyu ramen (¥650, ¥900 for a large size) is a masterpiece: bathing in a katsuo-dashi soup and stacked with green onion and kombu kelp, this one is the perfect finisher for a long night of boozing.